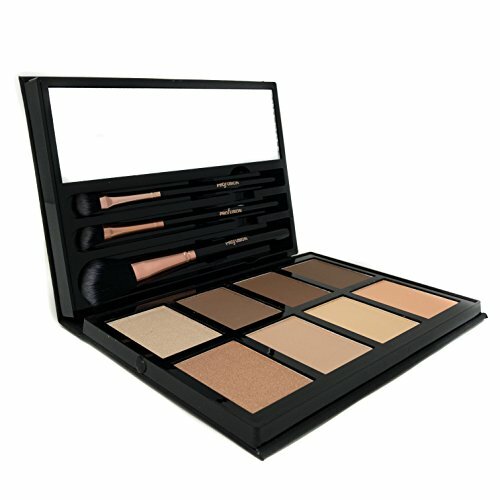 Start your very own trends with the Profusion Cosmetic Contour Palette. Sculpt, bronze and highlight your way to a flawless application that works with every skin tone. Use the finely pressed powders individually or combine together for a perfect match. With easy blending and buildable intensity, this formula sits comfortably on the skin, for a natural-looking finish. PROFUSION COSMETIC: Designed for the essential of beauty - Created with rich ingredients of the highest quality and safest products on the market. A must-have, exquisite makeup palette for long lasting and bendability. BEGINNER FRIENDLY: Comes with many different color palette to make mixing and matching shades super easy. Simple enough for amateurs to use and high quality enough for even the professional makeup artist. CREATIVE LOOKS: Even the pros love our products. Get the perfect blend that suits you. Color pallets hues you can mix and match to create a variety of looks that fit every occasion. Outstanding cosmetic essentials designed perfectly for any occasion. Click 'Add to Cart' to get the professional product from Profusion Cosmetics and enchance your makeup game today! If you have any questions about this product by Profusion Cosmetics, contact us by completing and submitting the form below. If you are looking for a specif part number, please include it with your message.